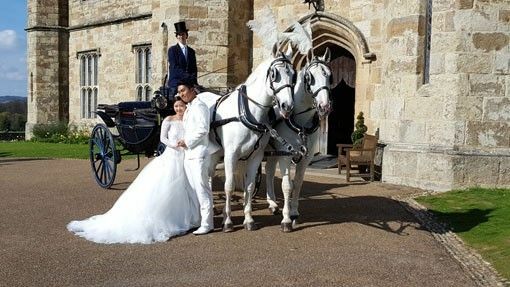 Ensure your wedding day is one that lasts in the memory by arriving in a spectacular horse and carriage. Add a touch of class to your big day by contacting our team today. 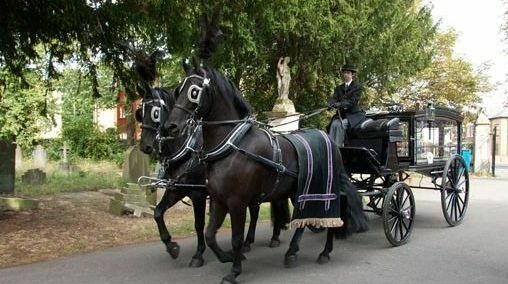 Make the last send-off for your loved one a special one by hiring one of our graceful horse-drawn hearses, With black and white carriages to choose from, and personalised options too, you can make your last goodbye a dignified one. Make prom a night to remember with the help of one of our elegant horse-drawn carriages. Get in touch with us today for further information on our range of carriages. Whether it’s your birthday,your anniversary, or any other special occasion, make it that much more perfect with a beautiful ride in one of our horse-drawn carriages. 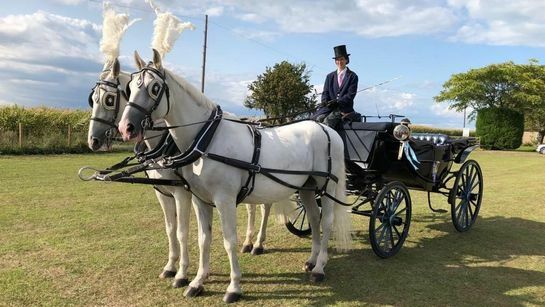 Here at Acorn Carriage Hire, based in Faversham, Kent, we provide beautiful horse-drawn carriages for a wide range of occasions, including birthdays, proms, funerals, and weddings. Trained by the British Driving Society, our team have more than 18 years of experience, expertly supplying carriages to clients throughout the South of England. If you would like to hire a carriage for your event, contact our team today. 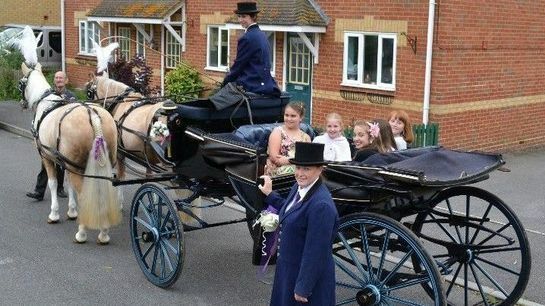 Get in touch with us, in Faversham, Kent, to find out more about our horse-drawn carriages.